My last tutorial is up on New York Magazine‘s fashion and beauty site, The Cut. Re-Create the rocker look on your date tonight and have a fabulous weekend (eat your heart out Joan Jett). XO. I’m always looking forward to a nice photo. Japan now I welcome the spring. Today, February 16 is the day of the festival naked. I fight to win a man’s population Sinngiwo. This is a sacred fight in Japan. Just saw the tutorial–loved your illustrations, especially the main one picture here. I especially like all the details you did on the eyes. 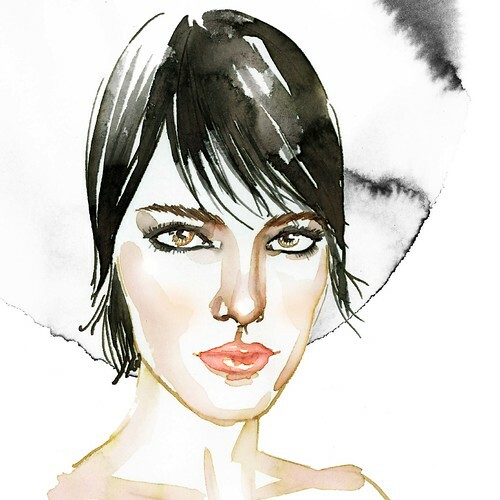 I also just posted a Marc Jacobs illustration, inspired by the looks on the runway. Mine focuses more on the clothes but also the Joan Jett hair and makeup, because, well, how can you not love it all? Here’s a link if you want to take a peek. Really loved this tutorial, great piece for it.